Map of Fulton County (with) Rochester, Fulton Co.
Map of Miami County (with) Plan of Bunker Hill (and) Xenia. Map of Howard County (with) Russiaville. 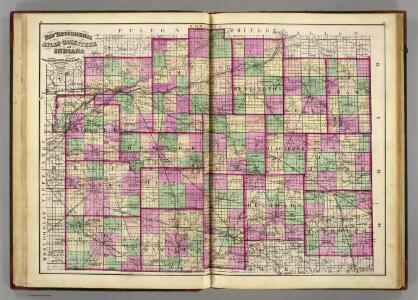 Map of Blackford County (with) Montpelier, Hartford City.